Most of us look forward to the festivities of the Christmas season. We get psyched with the thought of getting together with family and friends. This season is synonymous with parties, celebrations and gift giving. However, once the festivities are over, we are left with heaps of waste we need to get rid of. 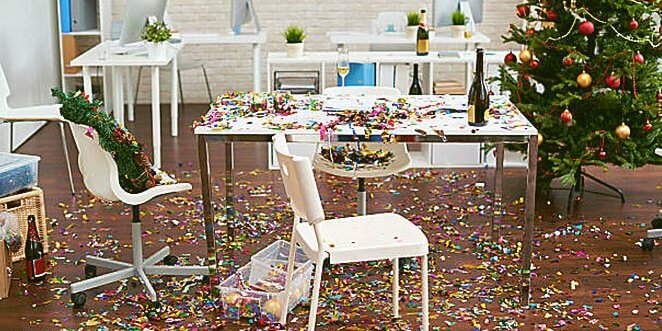 Cleaning up your Christmas mess can be quite overwhelming, but there are ways you make the task a lot easier. In this article, we will provide you with tips that you can follow to manage your waste and clean up your mess more efficiently. Have you ever thought about the amount of waste you throw away after the Christmas season? Just think about all the food containers, plastic packaging, waste paper and wrapping paper that you throw out and multiply them by ten. Every year, we seem to have more and more junk to throw away. This year, why don’t you consider having an environment-friendly Christmas and plan how you will manage your waste? It will reduce the amount of waste you have to throw away and you would also do something good for Mother Earth. A great way to manage your waste is by having separate bins for glass, paper and plastic materials. When you separate these materials, you will see which of them you tend to generate more every year. You can reuse the materials in good condition and cut down your waste. Gift bows and wrapping paper can be used for new gifts or as cover for old books. There are many ways you can reuse these items and if you can’t find any application for them, you can always bring them to a recycling facility. Of course, a real Christmas tree is ten times more stunning and better in many ways than a fake one. However, the major downside of having a real tree is the needles that fall off. It can be difficult to dispose of your tree without getting the needles all over your house. However, when you are careful, there would be fewer needles falling off the tree. You can begin by taking down the lights and the decorations. Before you carry the tree outside, wrap a plastic tree bag around it. The bag will collect most of the needles that will fall off while you carry the tree outside. If you do not have a plastic tree bag, you can cut off the branches and place them inside a trash bag. After that, wrap a large sheet of bin bag around the tree then carry it out. Once you’ve carried the tree outside, sweep the needles off your carpet or hardwood floor. Avoid using a vacuum as the needles can potentially damage this equipment. If there are stubborn needles left on the floor, only then should you use the hoover. Our advice is to invest in a good quality tree with branches that won’t droop as much. Trees like these also shed fewer needles. Also, avoid placing your tree near your fireplace as the heat can cause the needles to fall. Let’s face it, there are gifts that we do not like and they just end up in the attic. Instead of turning these items into clutter that collect dust, why not donate them to a local non-profit organisation or a charity? For instance, if there are toys that your children do not like, you can bring them to your local hospital’s children’s ward. Libraries also accept book donations while homeless shelters accept clothing donations. Giving is part of the spirit of the Christmas season, so try to find ways you can lessen your waste while helping those in need. There are several sorting and recycling facilities across the country. You can have a more environment-friendly Christmas by hiring a skip bin for your waste. Bin hire companies typically bring the waste to these facilities to have it sorted for redistribution, recycling or reuse. In this way, your glass bottles, plastic bottles and food packaging won’t end up filling our local landfills or even worse, float away in the ocean. So, this coming Christmas season, do not forget to contact A’n’K Budget Bins. Let us help you manage your Christmas mess more efficiently using our skip bin hire services. Contact us today for a free quote or to learn more about our services.